Leo Newman, whom I interviewed back in Season 1 Episode 11, is back again… but this time with his wife, Erynn. Leo and Erynn were high school best friends who later realized their love for one another in college. They’ve now been married for 12 years and have one energetic 5 year old son, Hudson, who makes every day an absolute joy. Leo is a mental health counselor specializing in the treatment of chronic health challenges and stress, and Erynn is an author and freelance fiction editor. When they committed to one another "in sickness and in health," they had no idea that this would be tested in the first years of their marriage, as Leo developed several autoimmune conditions, including Chronic Kidney Disease, Crohn's disease, and Ankylosing Spondylitis. Because he was healthy when their love story began, Leo's illnesses were an unexpected addition to their plans for the future. However, they credit their deep love for God and each other, support from their friends and family, and a healthy dose of humor with helping them craft a narrative of healing, hope, and restoration for their family--even in the midst of the challenges posed by Leo's health conditions. This was the first couple’s interview on the podcast and I’m so thankful to both Leo and Erynn for being so open and vulnerable with their experiences. 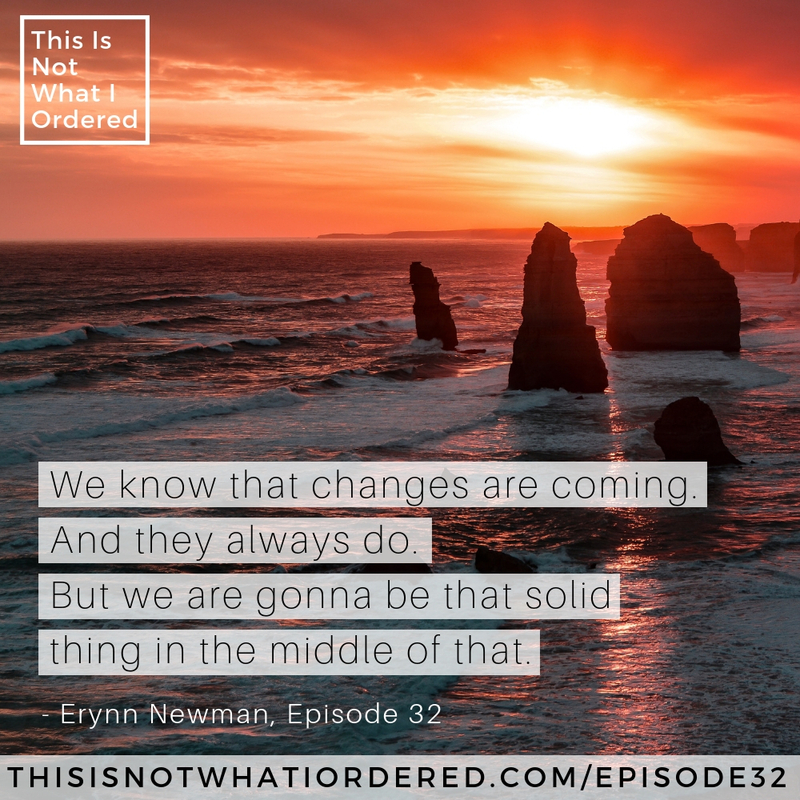 There are so many great moments as Leo and Erynn open up about their lives together. I hope you enjoy this as much as I did! SUPPORT THE PODCAST THROUGH PATREON! Get exclusive access to bonus podcast material. Please consider donating $1 or more per month to help sustain the show. Dating with health challenges just got easier. This is Not What I Ordered is produced by Podigy, a premium podcast editing service. Visit podigy.co and mention This is Not What I Ordered for 50% off the first month of your subscription. Comments or questions about the podcast?